Standing for Audio Video Interleave, a file with the AVI file extension is a commonly used file format developed by Microsoft for storing both video and audio data in a single file. It could be well-supported on a Windows-based operation system or program such as Windows Media Player or Windows Movie Maker, whereas this video format can be restricted on Mac operation system, you can not play them on iDevices and edit with Final Cute Pro, iMovie. To solve the problems, you can either try QuickTime components (plug-ins) to widen the support of AVI format, or turn to professional AVI to MOV video converter AVI to MOV format for better compatibility on macOS High Sierra. To convert AVI to MOV, you have many choices: you can puchase a professional AVI to MOV converter to help you get this job done. 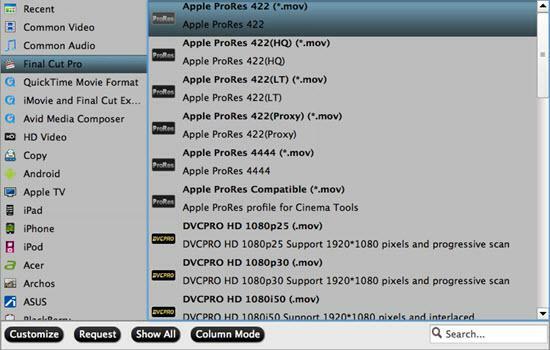 Besides it also can convert MKV, M4V, WMV, VOB, M2TS, MTS, 3GP, F4V, FLV, even Blu-ray and DVD to MOV for Apple devices playback and editing on Apple non-linear editing software. You may hope that it can output massive optimized device presets including Apple devices(iPhone X/iPhone 8 included), Android devices, Windows devices, Game consoles, and media players.Maybe, you ask the unknow professional program to grant you the ability to customize the video parameter, so that the final generated file can be more suitable for your target devices. 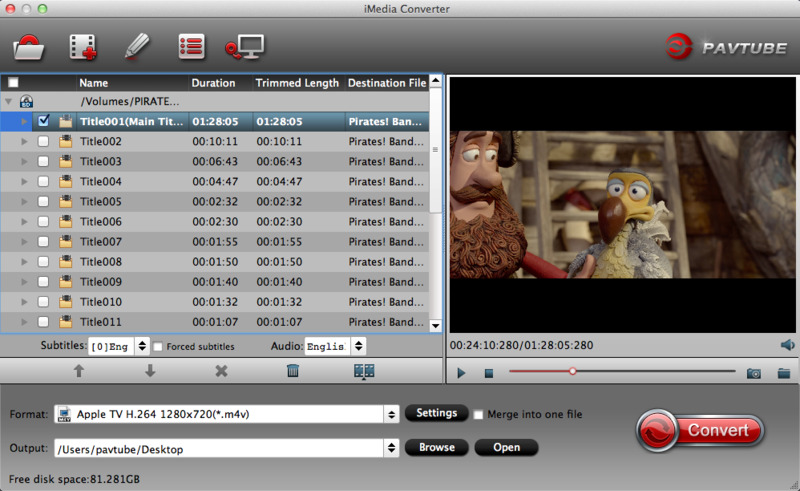 Pavtube iMedia Converter for Mac deserves to try, it can satsify all your needs once for all. If you need Windows version just look at here: Pavtube Video Converter Ultimate. Step 1. Add AVI to Pavtube AVI to MOV converter by click "File" to add the AVI files from the folder, or you can driectly drag or drop the videos to the software. By the way, it allows you to covnert several clips at a time. Step 2. Click the drop-down icon beside the Seetings, and select the MOV video from "Common Video" or "HD Video" category. You also can choose "Apple InterMediate Codec(AIC) (*.mov)" for editing on iMovie, or "Apple ProRes 422 (*.mov)" for Final Cut Pro. There are still many other video formats here, you can go to discovery by yourself. Step 3. This software allows you to edit the AVI file before conversion. Click the pen-like icon on the UI, then enter in the Video Editor window, here are 7 main editing tabs for you. 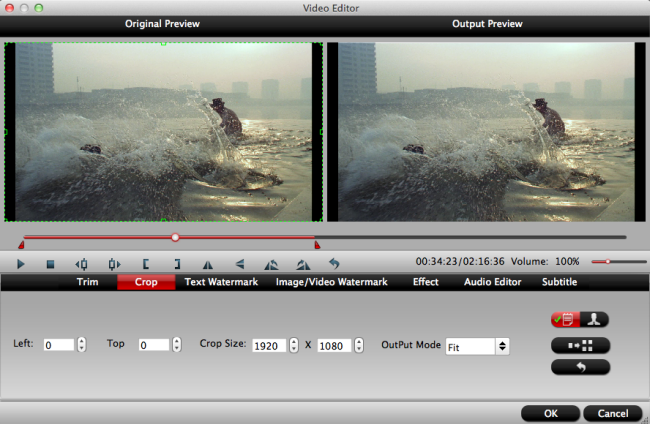 Trim, Crop, Text Watermark, Image/Video Watermark, Effect, Audio Editor, Subtitle. Step 4. 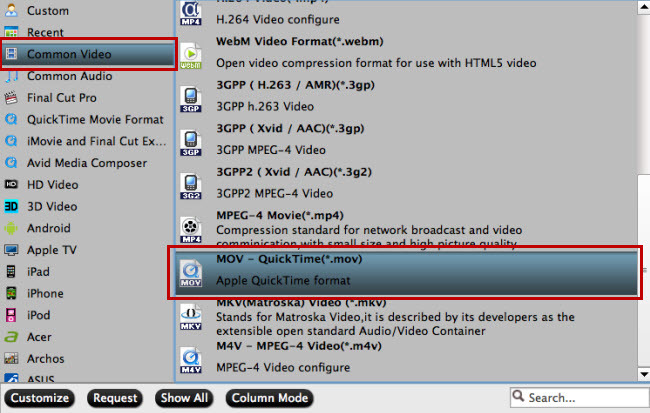 Click Convert All at the right-bottom corner to start the AVI to QuickTime MOV conversion. After a while, you can find the converted .MOV file in the output folder. How to Rip Blu-ray to AVI with Best Quality? How to Convert DVD to AVI with Best Quality? Make DVD to Digital conversion as MP4, AVI, MOV, etc.